1. We did introductions with a lively discussion about our favorite fair food. There was a brief debate over the culinary differences between a corn dog and my beloved Pronto Pup and we learned about the awesomeness of Honey Sunflower Seed Ice Cream that is sold in the Horticultural Building. Mini doughnuts, french fries and Sweet Martha's Cookies were crowd favorites as well. 2. 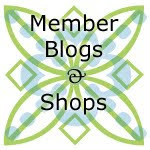 If you are a current member and haven't already, please try writing a blog post for us. It's very easy and helps keep our blog fresh and frequently visited. If you want to write a blog or have questions on getting started, please contact Kristin L. through our Members Only Directory. 3. 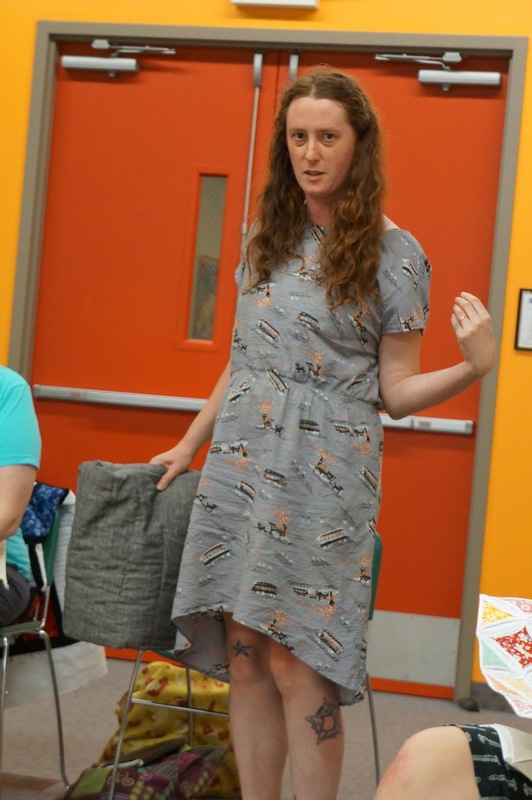 We discussed The Modern Quilt Guild (the national organization which is trying to coordinate all local modern quilt guilds) and that they are now accepting local guild memberships. There are a number of benefits to joining, namely 501c3 status, use of their logo, a Guild to Guild communication board, fabric challenges, discounts for various quilt shows, etc. The drawback is the cost. Our current guild size puts us at their annual membership cost of $400/year and we are closing in on $550/year do to our increasing membership. We have not joined yet; the deadline to join is December 2014, making this an ongoing topic of discussion for our guild. 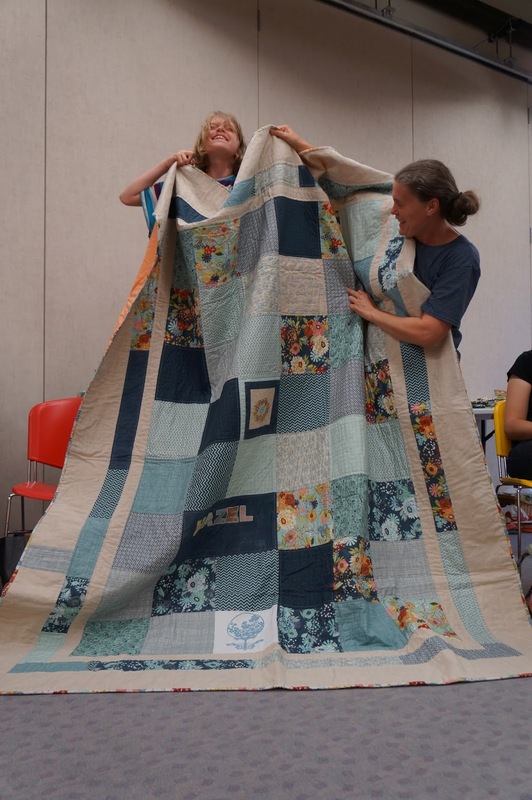 Please know that individuals may join for $25/year, which is an option for any of our members who are interested in joining The Modern Quilt Guild on their own.You can find more information on The Modern Quilt Guild here. 4. Instead of one 10-Minute Tip, we each took turns sharing a One-Minute Tip. There were so many excellent tips that I couldn't take notes fast enough. Thanks everyone for sharing! 5. Our August Block Lotto - Improve Neutral Squares was won by Kristin S. Congrats! 6. Rita did an killer hands-on tutorial on the Cathedral Window Block, which will be next month's Block Lotto Challenge (THANK YOU RITA!). Watch the blog and Facebook for more information. 7. We revealed our State Fair "Quilt on a Stick" entries and they were all awesome! 8. Two-Bit Bags were a hit again. Please consider donating something next month -- everyone loves a chance to win something. Remember, it does not have to quilting or even sewing related. Food, candy, wine are acceptable too! Watch Facebook for more information on next month's Two-Bit Bag donations. 9. Our next Sew-cial is scheduled for Wednesday, August 28th, 6-9pm at Common Roots Cafe. Feel free to stop in anytime. Bring some hand-sewing (or not), chat and just hang out with fellow guild members. This is a very casual get-together with no structured agenda. 10. Next month's meeting is scheduled for Thursday, September 12th, at 7pm. Please feel free to come early for social hour or stay later to catch up with other members. Also, remember that September is the reveal deadline for our summer "Take it With You Challenge". If you haven't started yet, there's still time. Rozina made this dress using fabric that she bought at the garage sale. 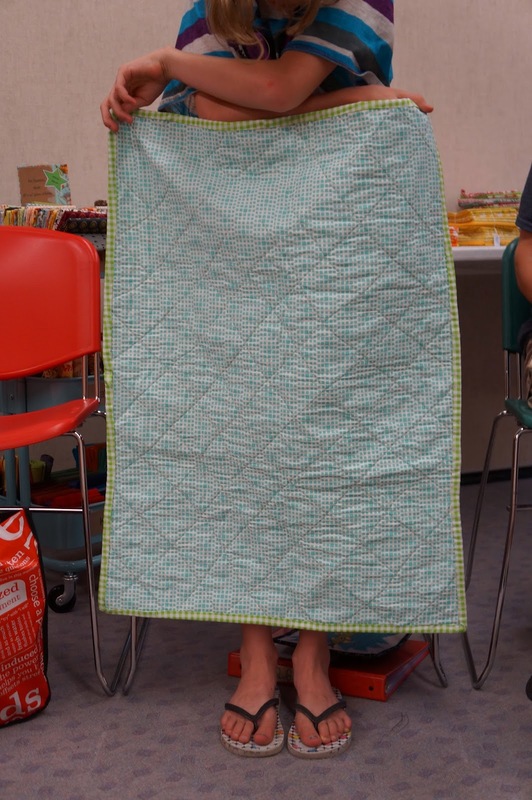 Rozina won these blocks at a recent Block Lotto drawing and made this lovely quilt. 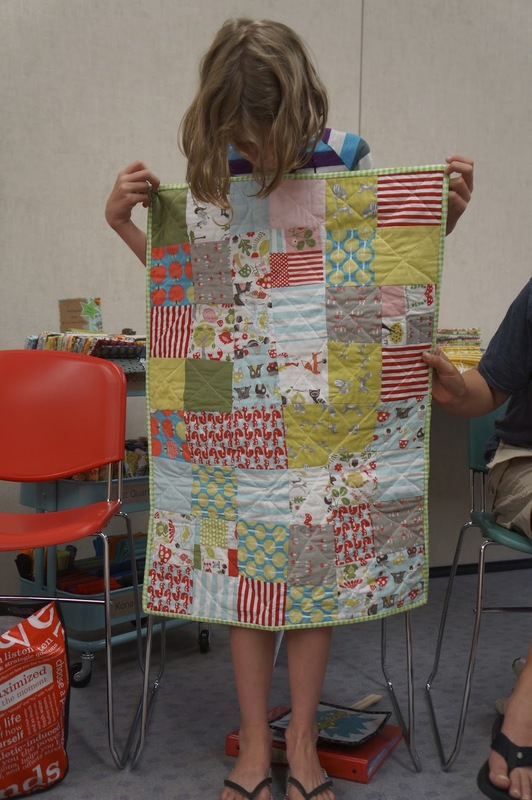 Hazel, our first junior member, showed us her first quilt and it was awesome! 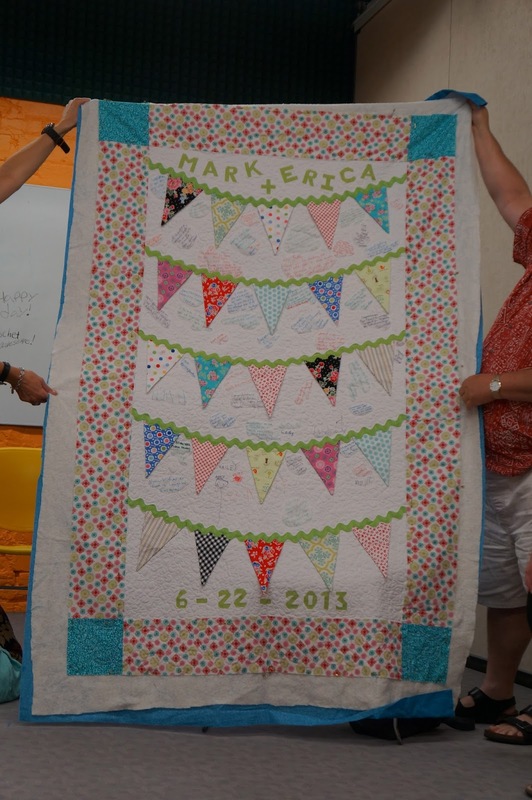 Hazel's mom, Lisa T., showed off the quilt that she made for Hazel's room. 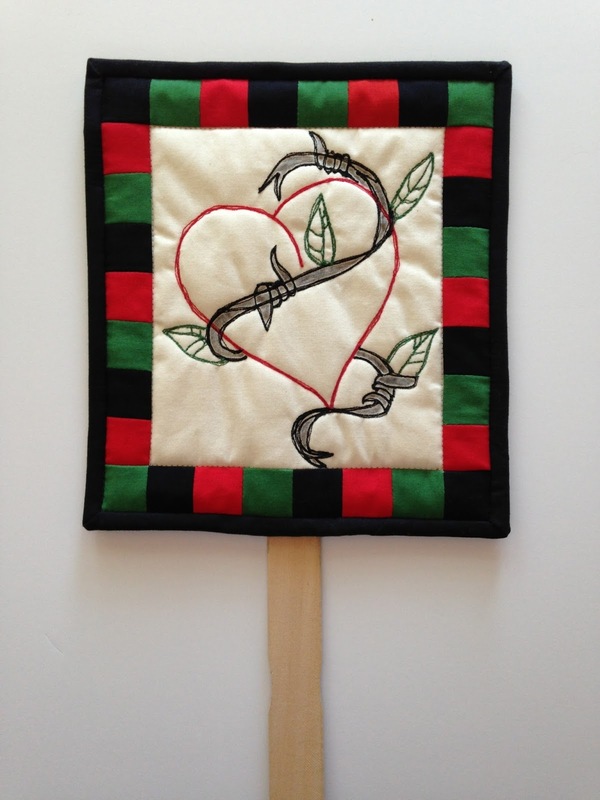 The quilt is designed around one of Hazel's poems that her mom embroidered on one of the blocks. This is a wedding gift and it gets the "love" block on the back. Carrie showed off her first quilt she made a few years ago that she recently finished.